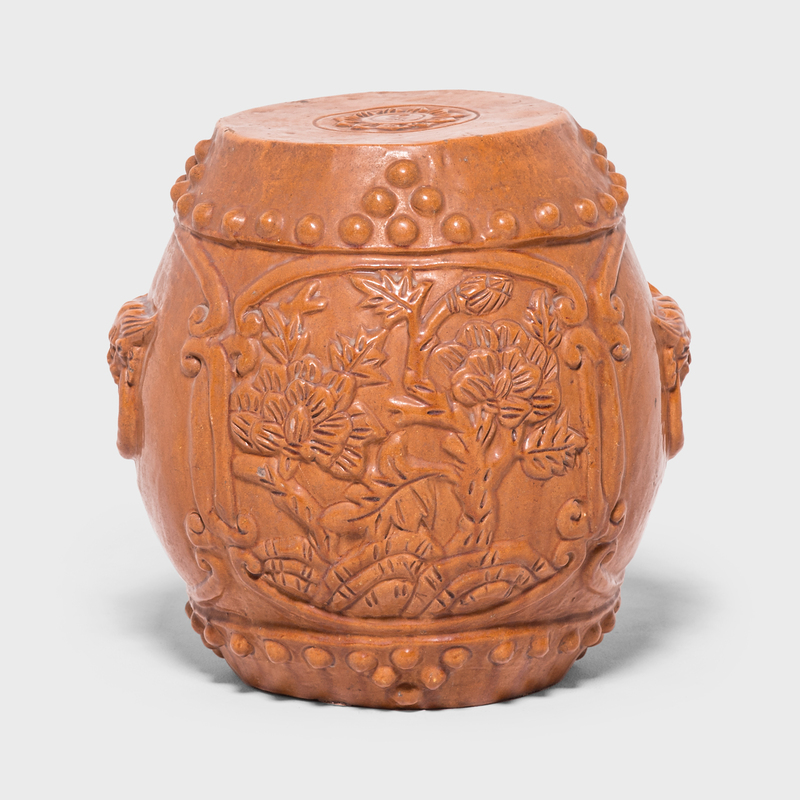 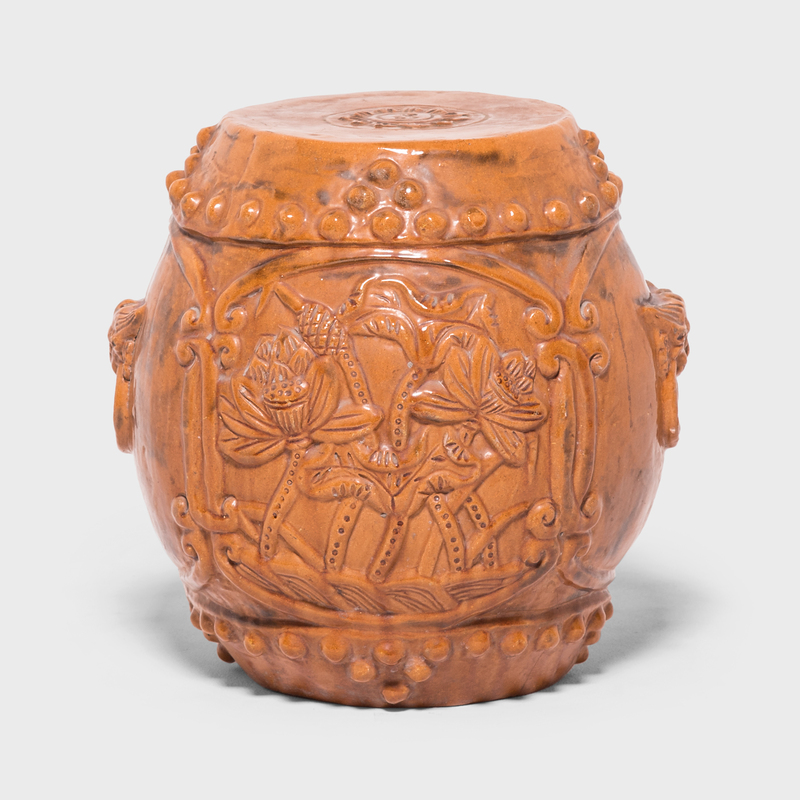 This ceramic garden seat was created in the early 20th century by an artisan in Canton, also known as Guangzhou, a major port city in southern China. 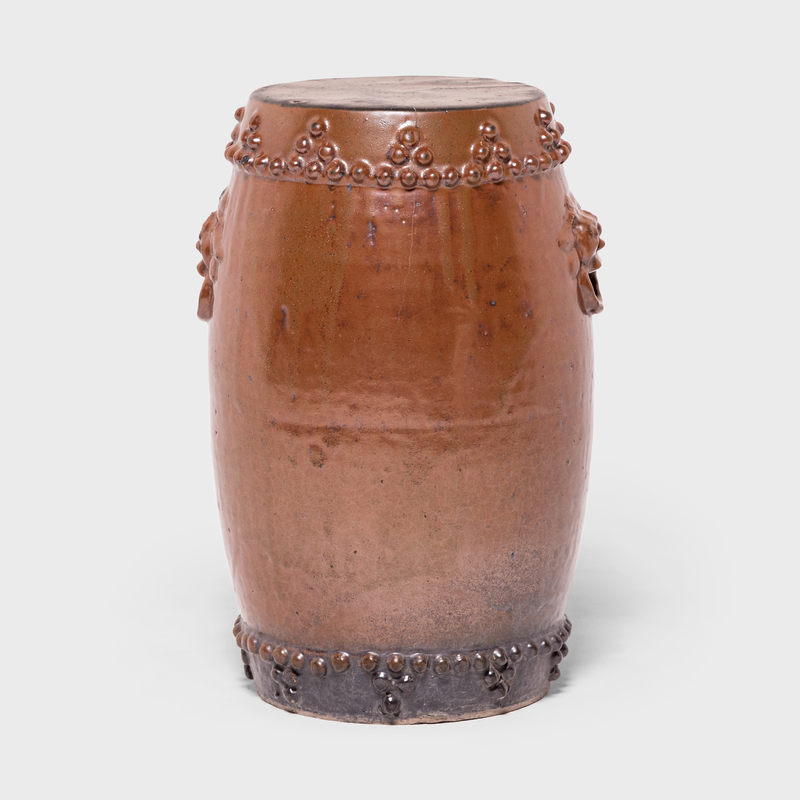 Ringing both its top and bottom, a pattern of boss-head nails imitates those used to stretch a skin on an actual drum and decorative handles adorn each side, topped by guardian protectors. 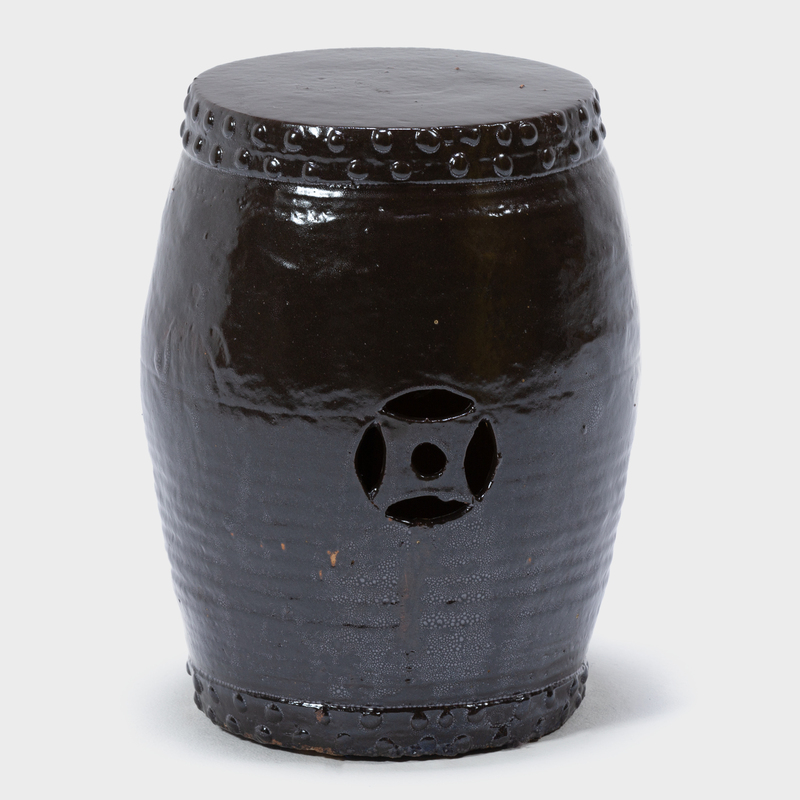 A rich brown glaze cloaks the garden seat, speckled with imperfections and subtly fading to dark at the base. 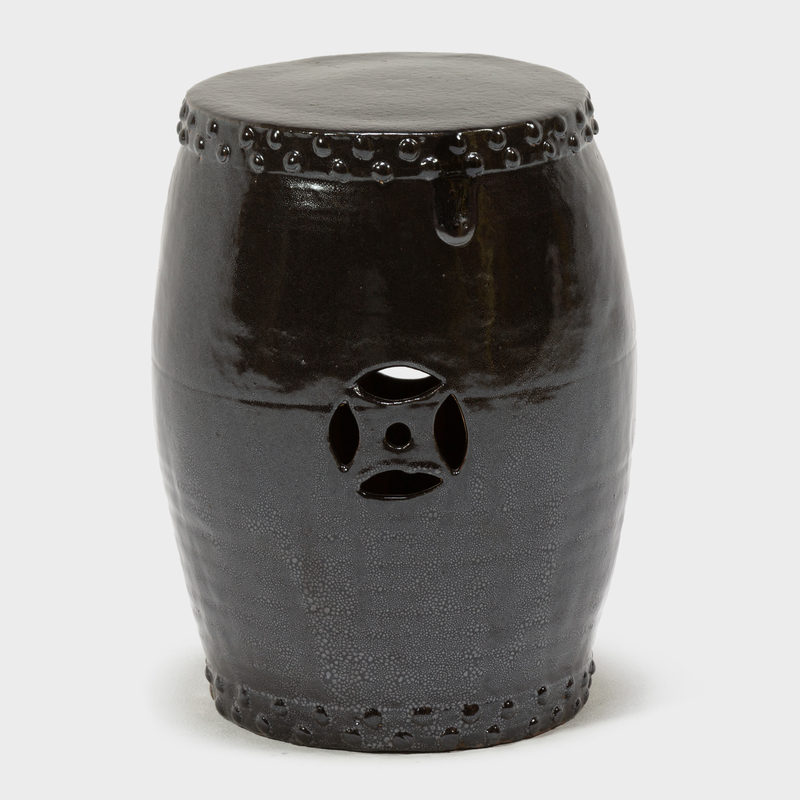 Traditionally used as a place to rest one’s feet, a stool like this is perfect as a garden seat or a small side table.